Our Journey: Travel Felt Mat TUTORIAL! Here it is folks ... my Travel Felt Mat Tutorial! I guest posted this tutorial over at Imperfectly Beautiful a few weeks ago but in case you missed it, I'm re-posting it directly on my blog! If you didn't catch the my original Handmade Travel Toys post ... you can visit it it HERE. We live in Europe and do a lot of traveling ... this little fold-n-go felt mat with storage pockets has been a hit with Kelty. It will look like an inside out "pillowcase"! 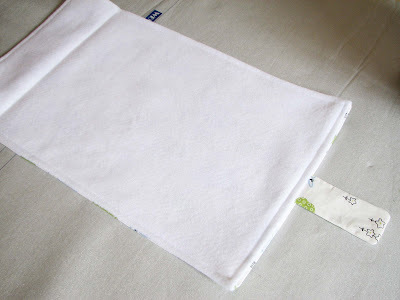 Step 4: Turn your "pillowcase" inside out so the printed side of your fabric is facing out. Press with an iron for nice crisp edges. Step 5: Now, for the little tab that keeps your felt mat rolled-up secure! Cut a scrap piece of your fabric, approx. 10" long by 3" wide. Step 6: Fold the scrap piece in half (right sides facing eachother) and sew three sides (just like you did for the main piece). Turn it inside-out and iron ... now it will look like the photo above! Step 7: Now insert the edge of that cute little tab into the open side of your "pillowcase". Now sew your "pilowcase" closed, sewing the little tab into the seam as you go. Step 8: So lets make those edges look nice ... you're almost done! Sew a nice straight stitch around all 4 edges of your felt mat. Step 11: Find your center point of the pocket and make a straight stitch up the middle ... now you have 2 pockets! Step 13: Fold your cute little mat in thirds and iron on the the other piece of velcro! Now find some felt scraps and have fun creating little felt play scenes! I hope you made it through the tutorial without any "what the?" shouted at the computer screen! If you have any questions just leave a comment and I'll help you out! I'm linking this to .. This is darling!! Such a great idea! Stopping by from Friday Follow. Cute blog. Looking forward to seeing more fun stuff ;) Oh, and now I am a follower too! What a great tutorial and a cute blog! LOVE this! So great - and super cute fabric you found too! Following From The Friday Follow :-) Sorry a little late....the list is soooo long! What a great idea! This is super cute!! Thanks for linking up at my linky party!! This is such a fun on the go play thing, I'm definitely going to give this a try! That is so fun! I love the little cars! This is fantastic! Thanks for the tutorial! I love that it encourages imaginative play! Thanks for the great tut! how cute! i have actually made soem similiar felt mats for my kids church bags. i really like the construction of yours better though. thanks for the how to! 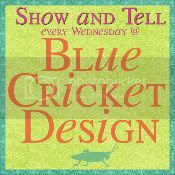 Thanks for linking up to Whatever Goes Wednesday at Someday Crafts! Thanks for linking up to my first Link Party! Hope you'll stop by again! Love this! Every time I look at it, I keep thinking that I need one for my little guy! Thanks for sharing at Fun to Craft's Spring has Sprung Party! Thanks for linking up on Tot Tuesdays last week. I hope you’ll join me this week for another party. thanks so much for this post! i made the travel mat and linked you up to my blog! thanks again! This is adorable! I love the fabric you used on the outside. What a great way to keep the little ones entertained while traveling. Thanks so much I will for sure be trying this out. That's really cute. I'm going to see about making some of these for our girls. Of course they will have to have a mermaid/fairy or princess theme though! Thank you for this amazing tutorial!!!! I'm looking forward to making this thanks to your magnificent tutorial - meticulously detailed instructions AND photos! My corporate training background is very impressed! Love it!! I made this for my daughter, almost identical design, so i was so surprised and happy to see you have it here! I used and elastic loop and button closure before. I like your idea to close...it would be much easier for my younger child to work on his own. Awareness Ribbon Fabric Applique - GIVEAWAY!